Craving burgers? You're in luck: a new business has opened its doors in the neighborhood. The fresh arrival to Williamsburg, called DuMont Burger, is located at 483 Grand St. This is the second DuMont Burger location in Brooklyn, with the first location on Bedford Ave. The menu includes sandwiches, burgers, starters and sides. Signature items include the DuMont Salad, with haricot vert, bacon, pecans, blue cheese, radish and balsamic vinaigrette; and the DuMac and Cheese, made with radiatori pasta, Parmesan, Gruyere, cheddar and bacon. With a five-star rating out of three reviews on Yelp so far, DuMont Burger has already made a good impression. Kaitlin M., who was among the first Yelpers to review the new spot on Sept. 29, wrote, "This is my go-to burger in Brooklyn. The happy hour special on beer ($5 drafts) is solid, and the food is great. Even the side salad is surprisingly fresh!" 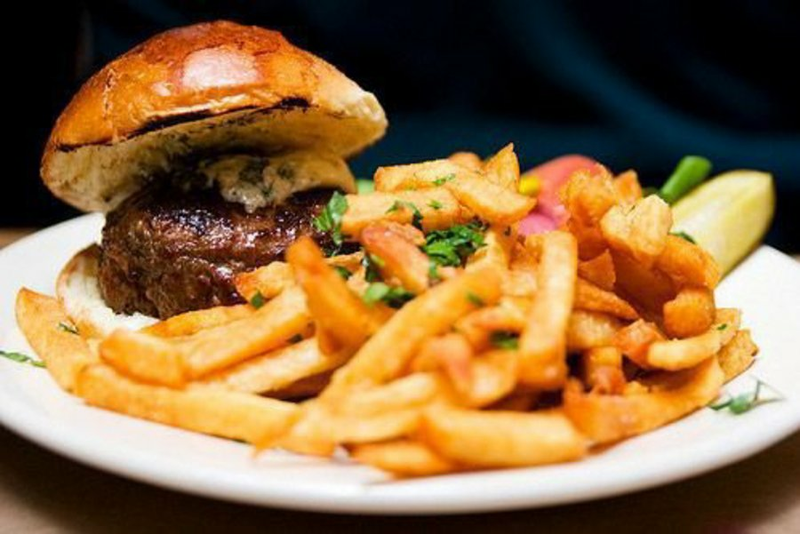 Yelper Jake L. added, "The burgers and the DuMac and Cheese are the best in New York. The Grand St. location is a larger space than the Bedford Ave. spot." Interested? Stop by to welcome the new business to the neighborhood. DuMont Burger is open from 5-11 p.m. Monday-Thursday and 1-11 p.m. Friday-Sunday.